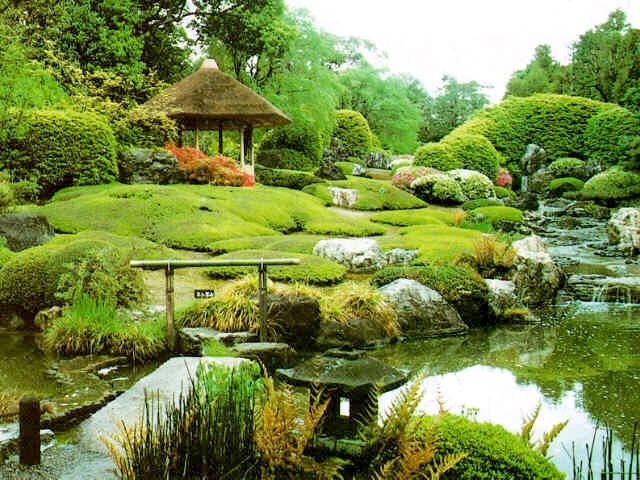 A zen garden or sometimes called Japanese garden is a miniature landscape that is fully composed of rock arrangements, water features, bushes and pruned trees. 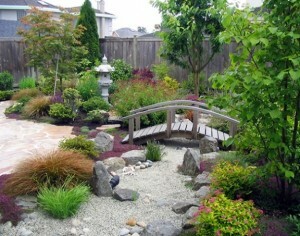 Unlike any ordinary garden, a zen garden usually uses gravel or sand. Zen gardens are usually small but nowadays, people are now into healthy living, minimalist style when it comes to their homes and just want to be away from the busy hustle and bustle of city life, they always tend to just go home and get the relaxation from their zen garden. Like most of the healthy buffs are into herb garden, zen gardening is also easy to create. Here are the steps to start your own zen garden. KNOW THE SIZE OF YOUR GARDEN – You can put as many plant as you want if you decide to occupy your entire garden. For small gardens, you can occupy your wall. But for large gardens, it is really best to have bigger space for your walk way. MAKE A DESIGN OF YOUR GARDEN – After you decide of the garden space you will occupy, try to design or visualize what your garden will look like. CREATE A MOLD AND SAND YOUR GARDEN – Make a mold according to your design and you need lots of sand for it. RAKE THE SAND – Create a curving stroke pattern like water ripples. Rake it at least three to four inches deep. ADD STONES AND PEBBLES TO YOUR GARDEN – Arrange well the stones and pebbles to get that zen look. Large rocks must be submerged a little in the sand. Just do not put too much so not it will not look as if its a cluttered garden. ADD GARDEN FEATURES – Usually, you can find a statue of a Buddha in a zen garden. Remember, zen garden started in Japan and all of the monks monastery have this feature. But for modern zen gardens, they can but a minimalist feature like lamp, few bamboos, stone fountains to achieve its zen like mood. ADD YOUR FAVORITE PLANT – Using earth color pots or containers, in a zen garden, it has usually bright yellow, white, pale pink and lavender flowers. But green should be the abundant color in this kind of garden. 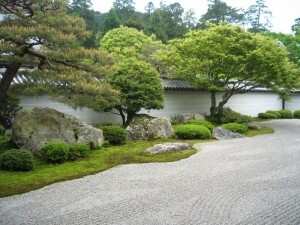 Green color is the yin energy in every zen garden. ADD LIGHTS – Set the mood with the right light that you will use. WATER FEATURE MAKES IT THE TOTAL ZEN EFFECT – The sound of the running water makes your zen garden a more relaxing place to be. Either you can create a small stream or pond in your garden or just have a stone water feature, its a total positive effect in your.